While dry eye might not sound like a serious condition, the reality is that for those who suffer from dry eye, it can be far more than bothersome. Medically referred to as keratoconjunctivitis sicca, dry eye is a condition in which you are not producing enough tears to keep your eyes comfortably lubricated. As your local Alexandria ophthalmologist, we invite you to reach out if you need help managing dry eye. If you have ongoing symptoms that persist for a long period of time, seeking medical attention will provide you with relief from the discomfort dry eye brings. 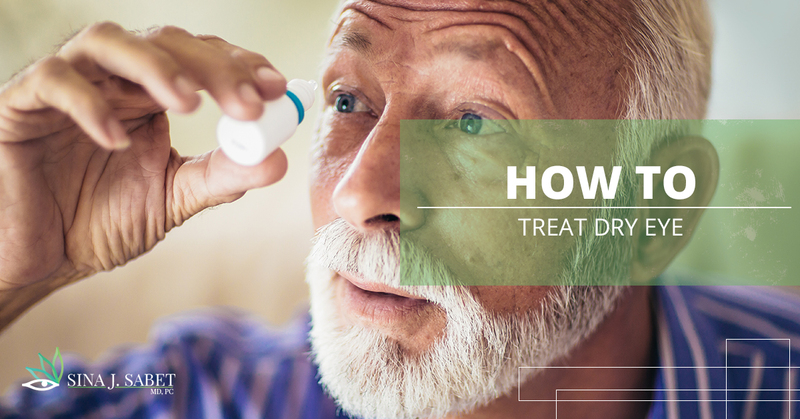 Check out the following information on recognizing dry eye, treating it at home, and the ways your doctor can help you with this condition. Generally speaking, if you have dry eye, you will constantly feel like your eyes are irritated and not lubricated well. Because your eyes always feel dry and irritated, this condition can be extremely frustrating and can limit your ability to drive or work. If you suffer from dry eye, there are a few things you can do at home to help remedy the condition. While only seeing a doctor will be able to offer you a permanent solution, try out these home remedies in the meantime. At any local pharmacy, you can find over the counter artificial tears. These drops help to lubricate your eyes and offer temporary relief. They can be easily applied throughout the day and will bring comfort to irritated eyes. If you work at a computer all day, part of your problem might be due to staring at a screen. Make sure you take breaks from computer use and be sure you are blinking frequently enough. This can help your eyes naturally improve their lubrication. 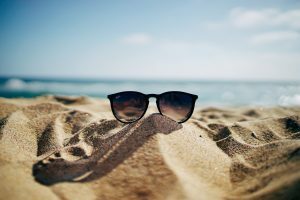 Another key to preventing further damage to your eyes and to help your eyes feel less dried out is to wear high-quality sunglasses when you are outside or driving. These sunglasses should block harmful UV rays and provide you with better visibility on sunny days. Eye makeup often contains irritants that will worsen existing dry eye. Removing all eye makeup can go a long way in cutting down irritation levels. Be sure that at night you always take off makeup to allow your eyes irritant-free rest. Ultimately, if you suffer from dry eye, you need to set up a doctor’s appointment with your ophthalmologist. They can properly diagnose your issue and offer you relevant solutions. There are a few different approaches that can be taken, depending upon your specific condition and needs. In many cases, your doctor will prescribe you special eye drops. These drops are much more powerful than what you purchase over the counter and can provide immediate relief. In many cases, these drops will be designed to cut down on stinging and burning. Another solution your ophthalmologist might prescribe is steroid eye drops. The purpose of steroid eye drops is to cut down on inflammation. These drops are usually used for a short period of time to immediately address symptoms. They will usually be prescribed alongside a long-term eye drop. As your local Alexandria ophthalmologist, our goal is to provide you with the eye care resources that you need to find solutions to existing conditions and to promote long-term eye health. If you think that you might be suffering from dry eye, we invite you to set up an appointment at our eye clinic today. An ophthalmologist will be able to properly diagnose your condition and will provide necessary prescriptions or remedies so that you can find relief.